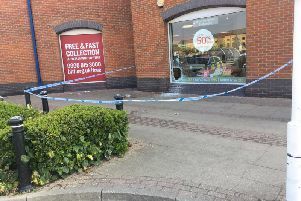 Dovydas Vaisvilas, 31, of Thorpe Park Road, Peterborough, was found guilty at Peterborough Crown Court on Thursday (January 19) of robbing his victim of £60 and seriously assaulting her on Wednesday, August 17. The woman was left with serious injuries to her face and mouth following the incident in Brook Street during which she was punched repeatedly to the head. The victim managed to remember part of the number plate of Vaisvilas’ car which helped officers to locate him. As well as receiving the custodial sentence Vaisvilas, who is Lithuanian, also received a deportation order to be carried out once he has been released from prison.